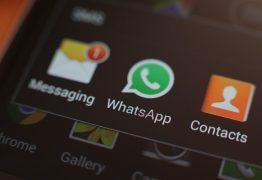 WhatsApp has announced a new feature that will enable users to share their real-time location with friends. Facebook has bought anonymous polling app tbh, a social app aimed at teenagers that encourages them to be nice to each other through complimentary votes. 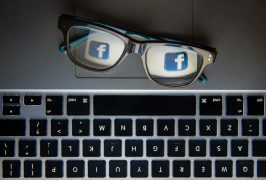 Facebook to train up school pupils in fight against cyber bullying. Facebook is to offer digital safety ambassadors to every secondary school in the UK as part of a new partnership with youth charities. 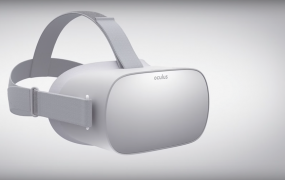 Facebook is upping its efforts in the world of virtual reality again and has announced its first standalone VR headset – Oculus Go. Facebook and Instagram have suffered a global outage, so naturally everyone has flocked to Twitter to vent their frustrations. 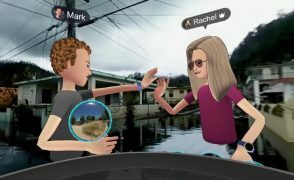 Mark Zuckerberg has apologised after broadcasting a live virtual reality trip to hurricane-struck Puerto Rico to promote Spaces, Facebook’s VR app. 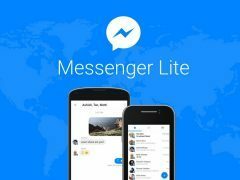 Is Facebook Messenger Lite the streamlined communications app you’ve been looking for? 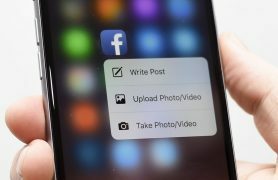 Last year, Facebook announced Messenger Lite, a slimmed-down version of the Messenger app designed for users in areas with slower internet speeds and with older phones. Now it’s come to the UK. Hot on the heels of the iPhone X, Facebook is working on facial recognition technology to help users recover their accounts. 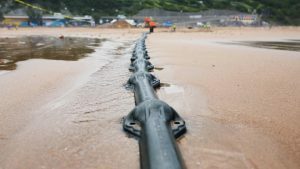 In a move that could revolutionise how we use the internet, the mammoth undersea cable project across the Atlantic is now complete. 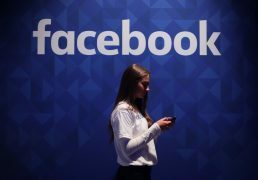 Facebook will provide the contents of 3,000 ads bought by a Russian agency to investigators in the US. A trawlerman who documented a week at sea with a video camera he got as a birthday gift said he is astonished by the public’s reaction to the footage. Watch: Does this video prove big cats are stalking Scotland’s fields? Footage of what appears to be a big cat roaming a field in Fife has been posted online. A Facebook group launched by a North-east mum to help parents of children living with additional support needs tackle loneliness has attracted hundreds of members. Spotify now enables Facebook Messenger users to create playlists for the music app from within group conversations on the messaging service. Facebook has unveiled a new reaction emoji – the rainbow flag – to mark Pride Month. Millions of people across the UK have been cut off from Facebook today. Organisers of a rave in Newcastle took finding a secret location a bit far over the weekend – we’re talking a sewer. 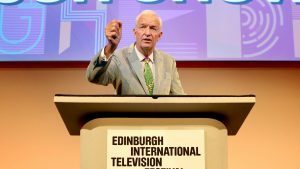 A computer whiz from Stonehaven was celebrating today after taking on the cream of Silicon Valley at a major competition in San Francisco. Aberdeen being named and shamed as having worse traffic congestion than London at peak times comes as no surprise to me. Aberdeen attacker Niall McGinn is in the running for the SPFL Goal of the Month award for his sensational strike against Dundee. A little girl has been reunited with her favourite bunny after leaving it outside the gates of Westminster thanks to a North-east SNP MP. A total of 120 online bullying complaints have been lodged to Aberdeen schools from pupils. Facebook has introduced competitive gaming to its Messenger app, with users now able to play against friends during conversations. As the International Space Station orbited 252 miles above Earth, it captured views of Hurricane Nicole over Bermuda on Thursday. A mum is organising a swap event for families hit by the oil downturn in the run-up to winter and Christmas. Facebook have released another highly addictive game for its Messenger App.